Independent petroleum marketers in Lagos State have threatened to withdraw their services from Dec. 11 over NNPC's breach of bulk purchase agreement to sell fuel to them at N133.28k per litre. 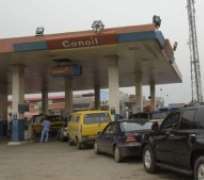 The association said its members had been running their fuel stations at a loss in the last eight months due to NNPC's default in the bulk purchase agreement it signed with IPMAN to sell fuel to its members at N133.28k per litre. ““DAPMAN in turn is selling to IPMAN members at N141 per litre,'' the association said in statement signed by its state Chairman, Alhaji Alanamu Balogun, Vice Chairman, Mr Gbenga Ilupeju and the Secretary, Mr Kunle Oyenuga.